When the big game is on, there’s no better place to be than at Camden Cocktail Lounge. Just take a glance at our events calendar and you’ll see that we have the football games on our TVs four nights a week during football season. Yes, you can catch the college football games here on Saturdays, and Sundays, Mondays, and Thursdays are devoted to the NFL. Plus, with our flat screen TVs and luxurious seating, we know how to do game days right. But there’s one other advantage that makes game days at Camden unique: Our bottle service. 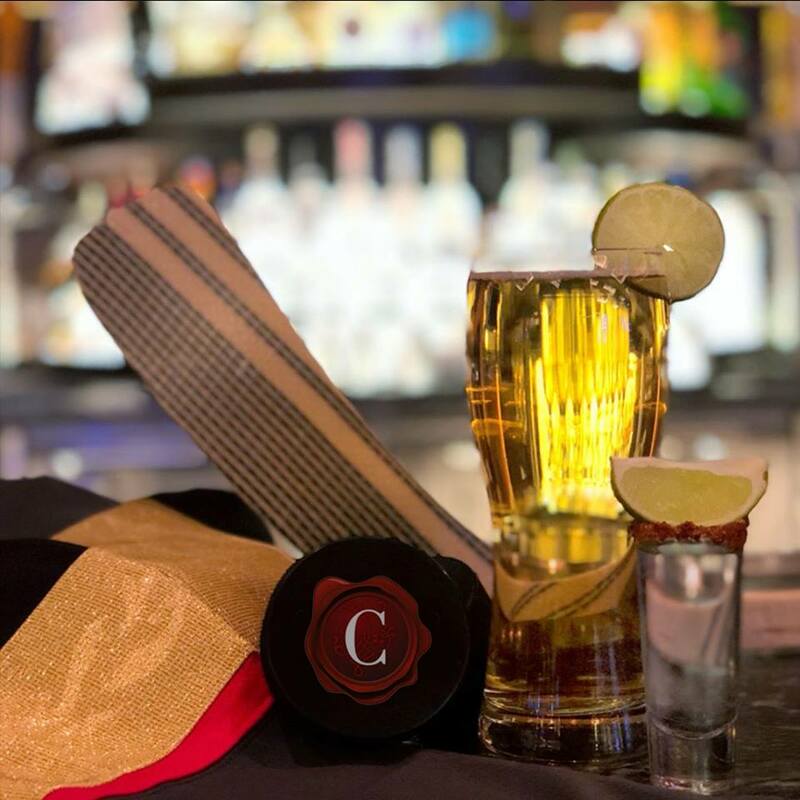 When you make a reservation for bottle service at Camden, you’re setting yourself up for a memorable game day experience. Not only will you and your party enjoy your own private seating area, but the bottles of your choosing will be brought to your table. 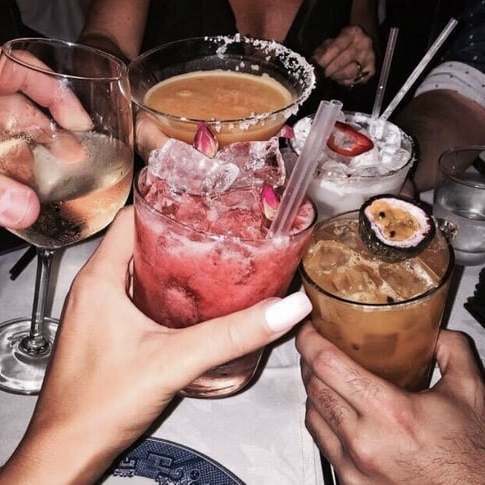 They’ll come with plenty of mixers, so you and your party can create your own drinks to your preferences and tastes. When you’re watching the big game with bottle service, you’ll always have a delicious drink in your hand. There will be no trips to the bar, so you won’t have to worry about missing that game-changing touchdown. You and your party will get to see all of the action, and you’ll be treated like Camden VIPs. Your own server will be on hand to replenish your bottles and mixers as needed, as well as to take your food orders and make sure that you’re having a great time. For that big game when everything’s on the line, get a group of your football fans together, make a bottle service reservation, and support your team in style. A reservation for bottle service means that you and your party will be our VIP guests for the night. Your entrance to Camden is covered with your bottle service reservation, and you’ll be brought right in and escorted to a private area that is designated just for your party. You’ll have great views of the venue and the TVs, of course, and can enjoy the game in our luxurious atmosphere without worrying about missing any of the action during trips to the bar. When you make a bottle service reservation, you can choose from some of the best and most popular liquors available. Our vodkas include 50 Bleu, Grey Goose, and Stoli Elite. If tequila is more to your taste, you can choose from Casamigo, Don Julio 1942, or Avion 44. Prefer scotch? Our Johnnie Walker Black and Glenlivet 12y both make excellent choices. And when it comes to bourbon and whiskey, our Ambros Banana Whiskey, Makers Mark, and Harmony are sure to satisfy. Your bottles will arrive at your table with plenty of mixers, so you can create your own drinks throughout the game. Maybe you make your favorite classic drinks, or maybe you decide to let your creativity run wild and mix up something special just for the occasion. You’ll enjoy waitstaff just for your party, and we’ll make sure that you’re having an unforgettable time during the entire game. Bottle service can make the day of the big game extra special for your party, but there are other reasons to head to Camden during football season. We’re celebrating football season in a big way by unrolling a special football menu full of all of your game day favorites with a unique twist. Get an order of our Mini Philly Cheesesteak Heroes (yes, they’re made Philly style with Cheese Wiz! ), or opt for our Mini Sirloin Sliders complete with smoked cheddar, caramelized onions, and wild arugula. These small plate items are perfect for sharing with your whole party. But on Saturdays and Sundays, the action starts early, and we knew we needed some appetizing early morning options. Starting at 9 am, we offer a whole host of breakfast-themed game day delights. You’ll -love our Biscuit Slider, a delicious pairing of sausage, egg, and smoked cheddar on a biscuit. It’s served with crispy potatoes, too. Other favorites off this special menu include our Southwest Breakfast Tacos, or for a lighter option, try our Egg White Tacos. Need something a little sweeter? Our Bread Pudding French Toast will give you the energy you need to keep up with all of the action. With our special menu and bottle service, plus plenty of TVs for great views, it’s a no-brainer: It’s time to make Camden your go-to spot this football season.